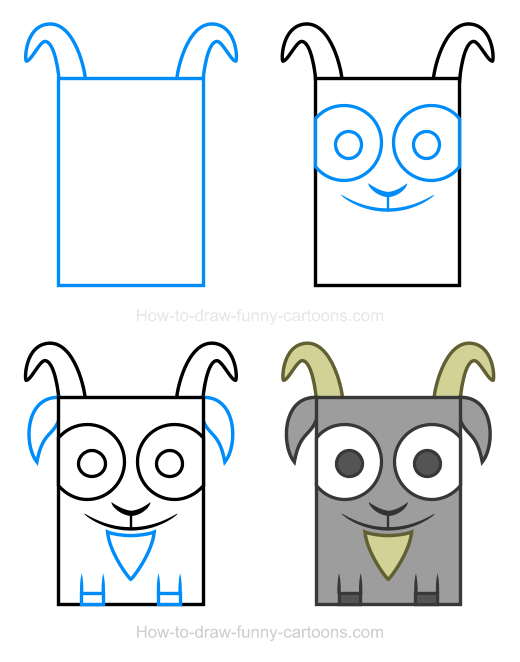 You can now learn to draw a simple goat clipart like the one displayed on this page using only simple shapes, lines and colors. 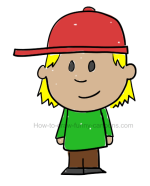 Using only a large rectangle as a basic shape to form the body and head, more simple shapes are added to end up with a cute character that can be sketch by everyone! Goats are cute animals closely related to the sheep. These short, but strong animals were probably domesticated around 8000 years ago. 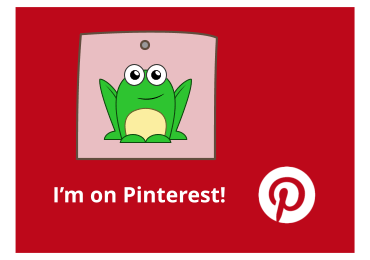 These animals can eat pretty much anything, including plants, small animals or even some objects! They are intelligent and can live up to twenty years. 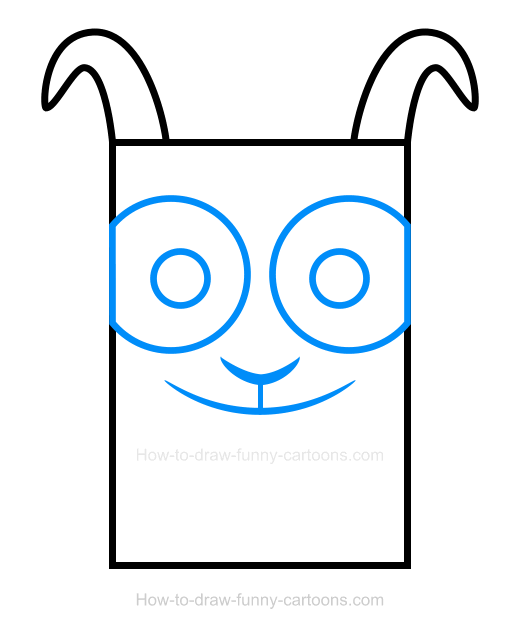 First, let's add a large rectangle to form the body of this cartoon goat. 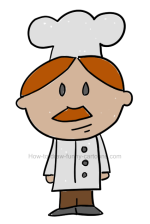 You can also use large and thick outlines to illustrate a more friendly character. Then, you can sketch two large horns on top of the head using simple curved lines. Once you are done, you can proceed with the next step. 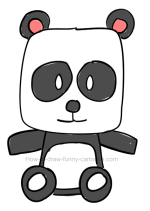 Inside the rectangle, you can add two large circular shapes to represent the eyes. 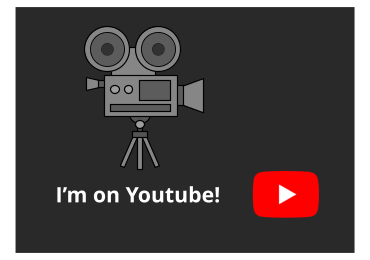 Notice how both sides are partially hidden. Then, you can add smaller circles to form the pupils. 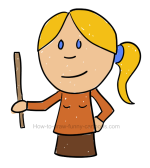 Below the eyes, a small (but thick) broken line is drawn to illustrate the nose. Below the nose, another line is added between the nose and the mouth. The mouth is made from a long curved line. 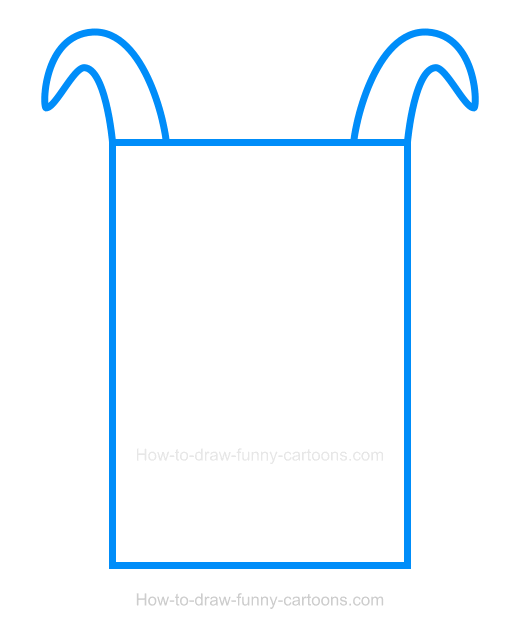 In this final step, you can draw the ears using small curved lines made with pointed ends. A long beard can be added below the mouth as shown below. Finally, the legs are made from straight lines and the hooves are done using small rectangles. 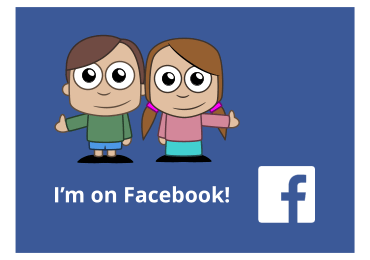 In this step, you can add colors to give life to this cartoon illustration. 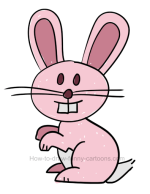 The body and the ears are filled with a light grey color. The horns and the beard are mostly yellow. 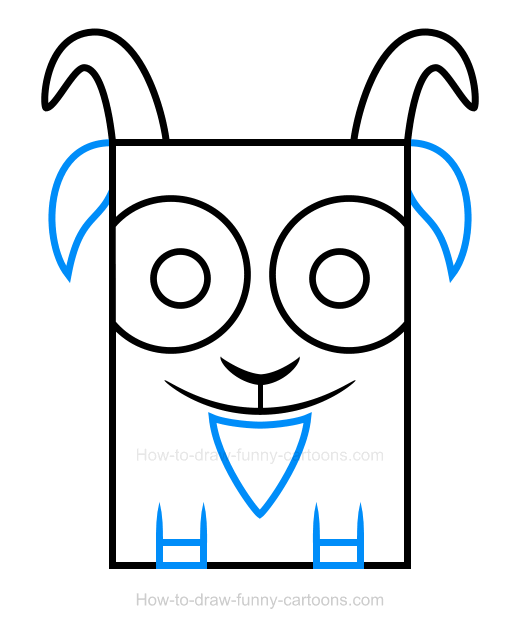 You can also add a dark grey color on all lines found inside this goat clipart. Congratulations! 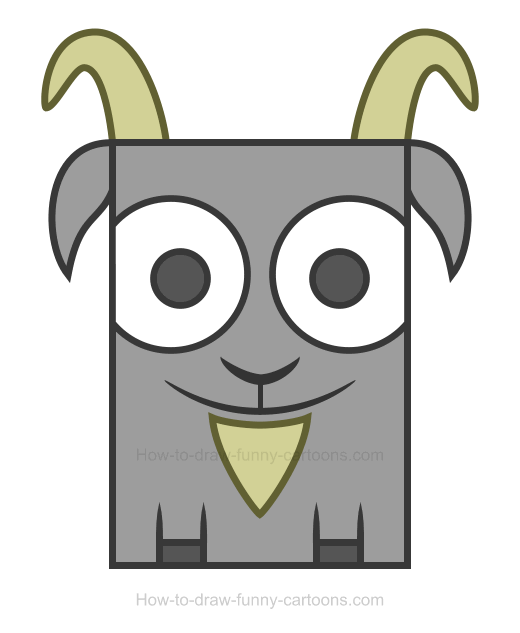 This goat clipart is adorable!